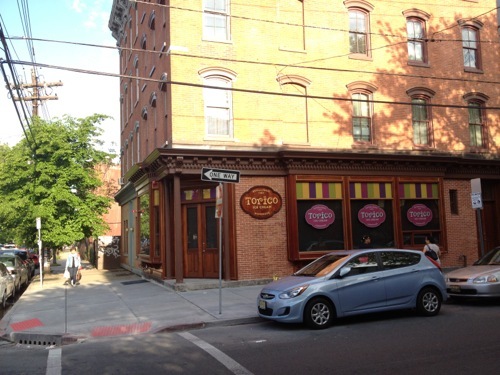 Neighborhood ice cream parlor Toricos is still not open. 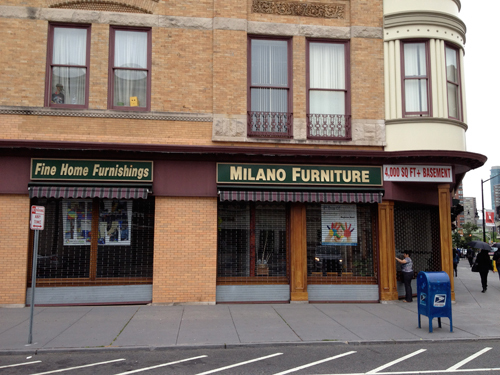 The former Milano Furniture store on Newark Avenue and Erie Street is set to become the home of Sensory Kids, an all encompassing childcare facility. 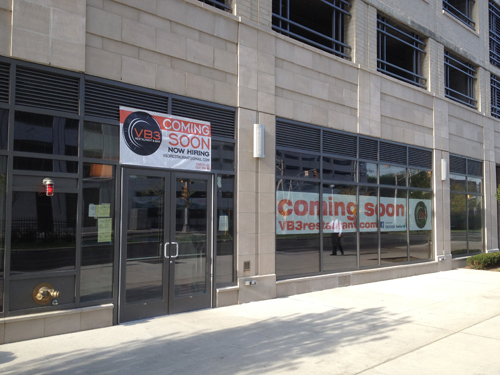 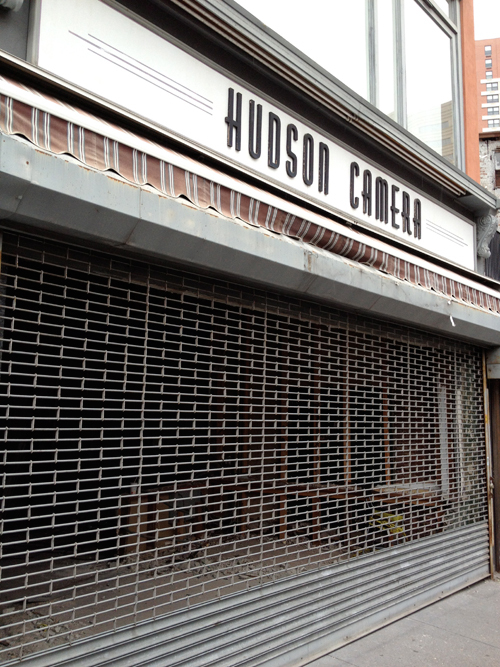 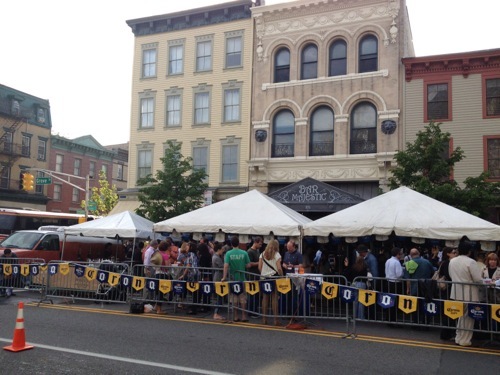 The former Hudson Camera shop that closed last month is rapidly being renovated to become a sports bar. 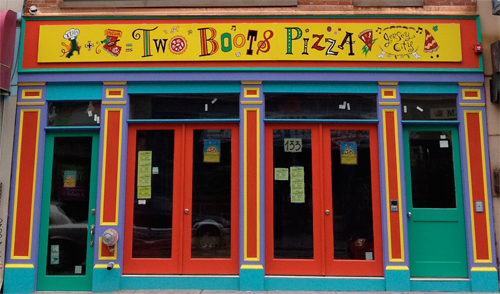 The new Newark Avenue pizzeria, Two Boots, has received the standard Two Boots paint scheme, the whimsically childish rainbow of color. 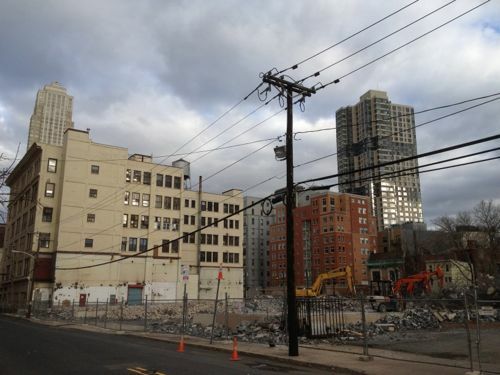 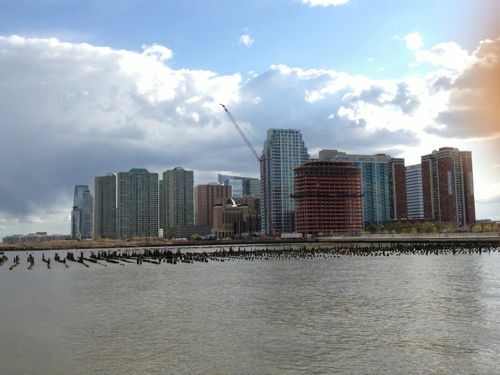 The 20 story Cast Iron Lofts on the north end of Jersey City has rapidly transformed the skyline in a once vacant section of the downtown. 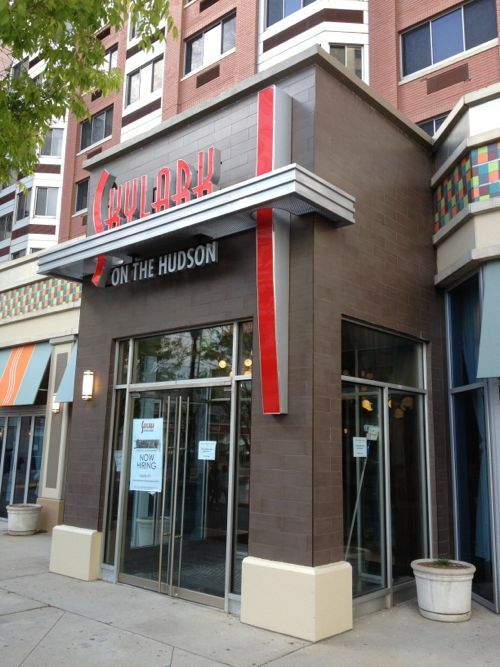 Skylark on the Hudson, a new restaurant in Newport, intends to open by April 19. 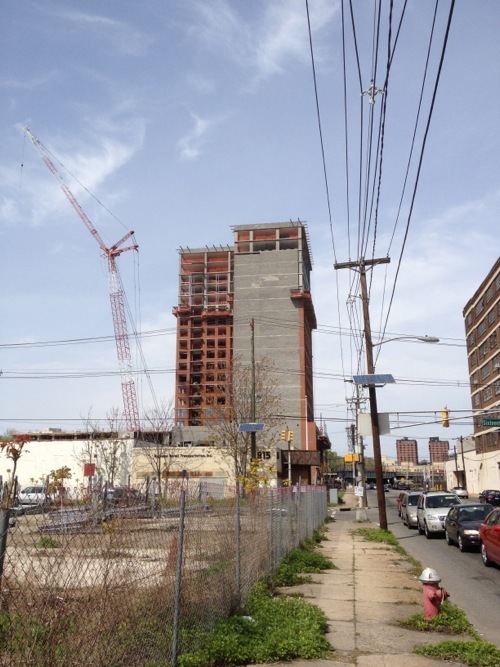 Newport’s Laguna is a proper high rise tower now, rising to what appears to be its full 17 stories.